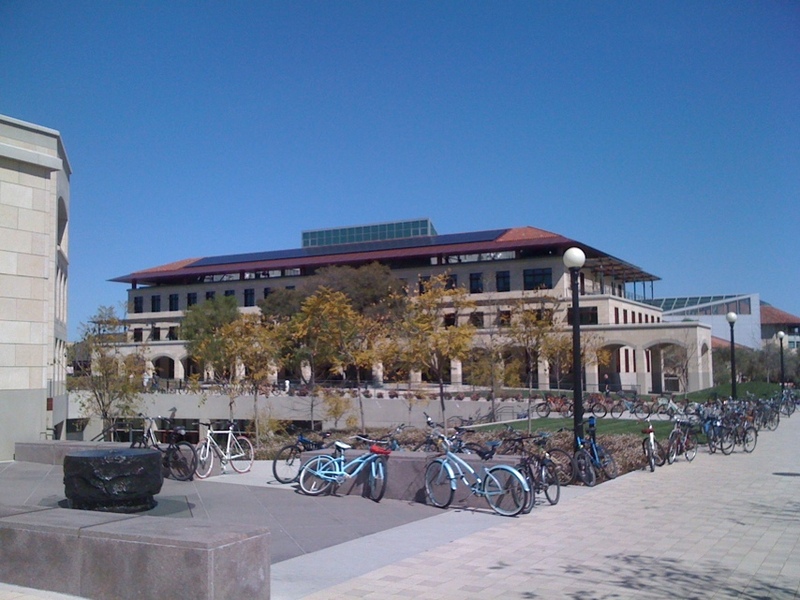 The huge pv solar electric system on the roof of Stanford’s nanoscale building is huge. 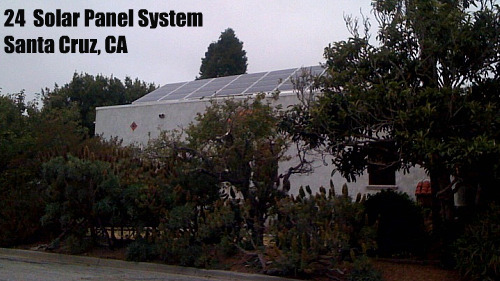 This solar system is several hundred solar panels and more than 50kw in size. Posted on 15 January 2011. SMUD has long been a leader in solar energy deployment. The SolarShares program allows customers to purchase output from a solar peoject on a monthly basis. Rather than own the system, SMUD contracted with a solar developer, enXco, to build, own, and maintain a 1-MW system. EnXco sells the power to SMUD under a twenty year power purchase agreement. The electricity from the system is fed directly into the grid and SMUD uses the solar generated electricity as the basis for its SolarShares program. Customers pay a fixed monthly fee, based on both the amount of PV to which they want to subscribe (from .5 to kW) and their average electricity consumption. In order to encourage conservation, SMUD makes the SolarShares less expensive for their customers who use less electricity. Once enrolled, a customer is locked in at the fixed monthly fee, for as long as they wish to participate. 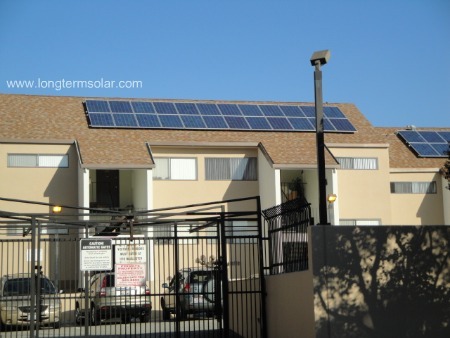 They receive monthly kWh credits for teh estimated output of their solar subscription. Although customers currently pay a premium for solar energy, the effective rate for soalr is locked in when they enroll, which maintains the ability of solar to act as a hedge against future price increases. The program is fully subscribed, with approximately 700 residential SolarShares customers. Customers can join a waiting list and enroll with current customers drop or move out of the territory. SMUD is making plans for expansion of up to 25 Mega Watts over the next few years. The renewable energy credits (REC’s) are retained by the local utility company SMUD. The United States Department of Energy has long said that for fixed plate solar panels, it is relatively easy to calculate the most productive solar panel angle you want to point to. The angle is based on your latitude minus 15 degrees. For example, with this logic, in the Bay Area near San Francisco you would want to tilt solar panels at 22 or 23 degrees. 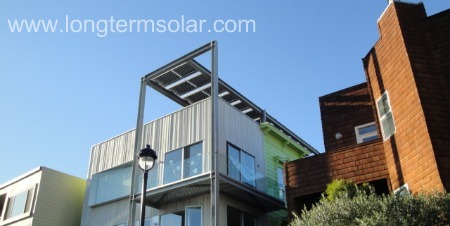 A solar panel tilt of 19 degrees will work best in Los Angeles. Once again, this is if you do not have any auto-adjusting or pivoting solar panels which change their angle throughout the year or during the day. 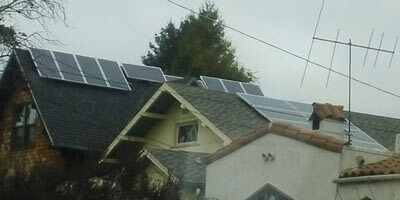 To further gain electricity production from solar panels, many people living in California have decided to modify their solar systems throughout the year. There is a definite gain of energy production if you increase the tilt during the winter months, and the opposite is true during the summer months. You want to be careful when you start adjusting your solar panel tilt for several reasons. The main reason is that you need to be up to date on which direction the panels are facing during the year. As easy as it sounds to make panel adjustments depending on the season, too many people forget to change the panels and end up losing out on energy production. Another thing to be careful of is to not disturb any of the system wiring that is in place. A very minor mistake with adjusting solar panels can lead to a few days of downtime which always means energy loss. How Much Money Can Be Saved with The Ideal Solar Panel Direction? To determine how much of a positive effect your solar system’s panels provide is going to depend on how ideal your panels tilt is. This is just one of the factors though. You need to also heavily consider shade on the solar panels. As important as the tilt angle can be, and it is important, if you have high amounts of shade hitting your panels, the whole system might be close to worthless. But, to give a rough idea, if you properly tilt your panels throughout the year, you could very easily be looking at a 20% increase in electricity production in California cities. The production increase might even be higher if you are in a state with a much larger latitude like our northern neighbors.